Saito Koji continues to produce great single-track longform drone-pieces. Remember his latest release on SEM “Ocean“? Or his former works like “Beautiful“ or “Candle“? He is just perfect in building up drone-loops over 30 minutes to one hour and they are never getting boring. 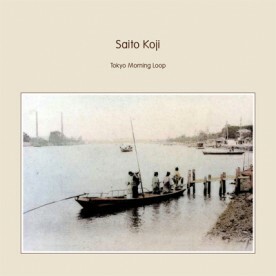 “Tokyo Morning Loop“ is a 45-minute-piece. The loop repeats over and over in this piece but every time you listen you find another overtone, another little bit of melody you didn’t recognize before. Especially in the background-texture you’ll find variations and shiftings due to the listening. My recommendation is to put up your headphones, close your eyes and relax.